If you haven't been to the Rochester since its 2015 facelift, your last visit may have involved 20-something you pressing against 20-something someone else while drinking a Bacardi Breezer (or secret goon stashed in your bag) and wondering "am I too old for this pub?" If so, you may find it strange to sit where the pool table once was, eating some of Melbourne's better examples of egg bonda (gooey egg and onion masala captured in a crisp fermented batter – India's answer to Thailand's son-in-law egg) or a blue-eye cutlet bathed in a bright, fiery nadan curry where the flavours are drawn out in water rather than fried and the crimson hue is owed to the sweet-sour kokom fruit. 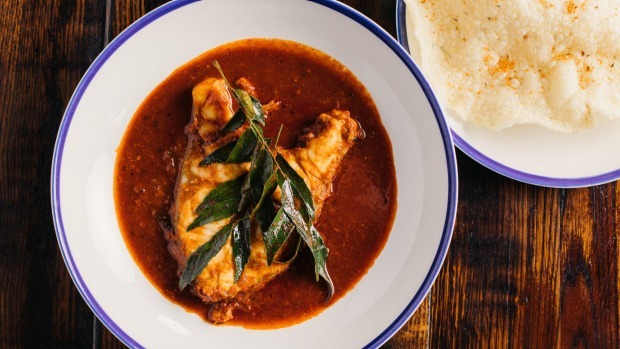 Then again, you're probably not going to give a red hot damn where you are eating Mischa Tropp's menu focused on the cuisine of India's coastal Kerala region, just that you can finally get at it seven days a week. And when you think about it, this Johnston Street pub isn't as incongruous a backdrop as you might suspect. 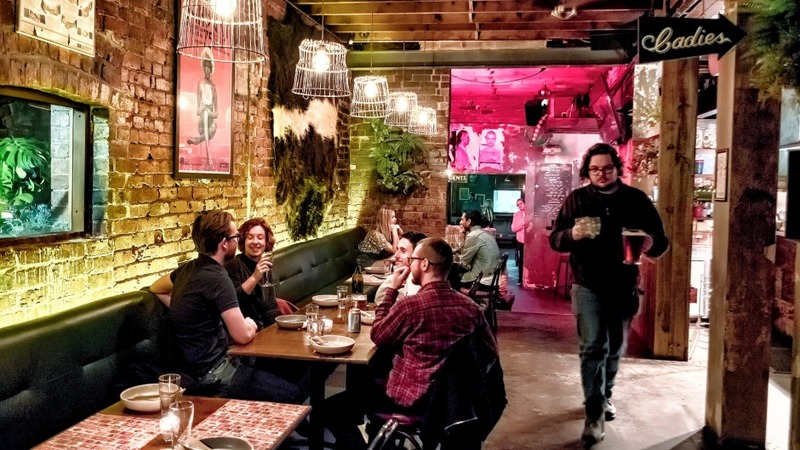 Sure, the contrast of the Rochey's dive aesthetic – bright neons, dark corners, bangers on the speakers – and random karaoke nights against Tropp's fragrant and fiery (by Aussie standards) but also often elegant menu is slightly jarring. Unless you're Stu Moss. 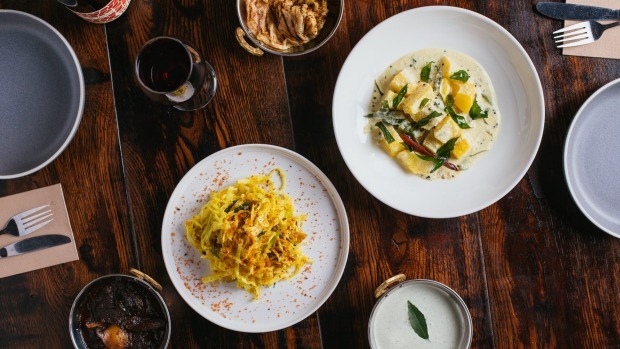 The Rochester's owner, who has given Tropp a permanent home after a few years of pop-ups as We Are Kerala, is Manchester-born, and curry at the pub is as British as the shade the Queen threw at Prince Harry's wedding. In fact, you can thank Moss for one of the menu's most addictive dishes: curry chips. It definitely wasn't Tropp's idea. But after road-testing a number of spiced gravy combinations and hitting on a winner (conveniently, the vegan version), Tropp has conceded the union of hot fluffy chips with his bright, spice-laden gravy is far from dumb. 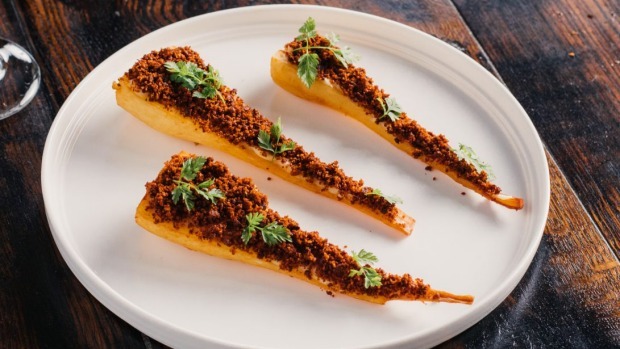 Still, if those chips, plus Kerala fried chicken, defer to the pub snacks of modern Australian boozers, beyond it's Tropp's true-to-form menu exploring the best of the west coast. If this is your first ride with Keralan cuisine, strap in for a wild time. A major Indian port, the influences are broad, deep and delicious. Seafood factors heavily, as does coconut (fresh), a boatload of spices and numerous cooking techniques courtesy of the multicultural demographic including traders who jumped ship, Muslim communities and Syrian Christian refugees. Everything starts with a garlic, ginger, onion and curry leaf base. Meat isn't off limits, even beef. Be glad. The main menu comprises street snacks, large-format braises and lots of vegetable sides and is best attacked with a posse four deep. Otherwise a "feed me" menu for $55 covers serious ground. Here you might start with those egg bonda, a bowl of eye-watering green chillies in a sweet pickle brine tinged with curry leaves and cloves, and one of the "Goan sliders", which sound like another pubby hat tip but are a legit coastal street snack of a stuffed milk bun. Ours is spread with Goa's go-to chilli paste condiment that's a little tamarind-tart and charred onion-smoky, plus fried butterflied prawns and funky prawn head mayo. It's intense, possibly a work in progress, with great potential. Finally having a permanent kitchen makes that tweaking possible and has resulted in some more complex dishes emerging. Like parsnips confited in coconut oil to rich, sweet softness, showered with a crazy flavoursome dust of onions, ginger and curry paste that's slow-cooked until caramelised and dehydrated. Or the thoran – shredded cabbage thrown into a scorching pan of coconut oil and curry leaves so it emerges fragrant and with colour but some of its structural integrity. There is a boatload of richness to the menu but refreshingly it's less about coconut milk (the coconut inclusion is largely in oil or flesh form), and more the likes of the soft parota (Kerala's roti-like layered bread); long, slow braises such as the "roast beef", sticky and dark in a reduced gravy rich with scud chillies, tomatoes, coriander and fennel seed; or the Keralan staple, kadala, a dish of slow-cooked dark chickpeas with a little heat, coconut richness, clove and star anise and shreds of ginger not entirely cooked out so it stays fresh. Dhal on its best day probably wouldn't want to sit next to this. The ghee-cooked half chicken is OK, the spices not penetrating quite as fully as in other dishes. But if you think you could drink a bucket of house-made curd of yoghurt, garlic, ginger and curry leaves blitzed and balanced with lime, that's because it's based on a beverage. Is anyone else a little excited to have some new voices making noise in our kitchens? To have Restaurant Shik's Korean party chased by a proper new wave of south-east Asian at Sunda, and now easily accessible Keralan in a pub? Somewhere you can drink hyper local craft beers or a Unico Zelo wine and then maybe see some up-and-coming comedians upstairs? You should be. Keep bringing the heat, Melbourne. Pro Tip: Solo? 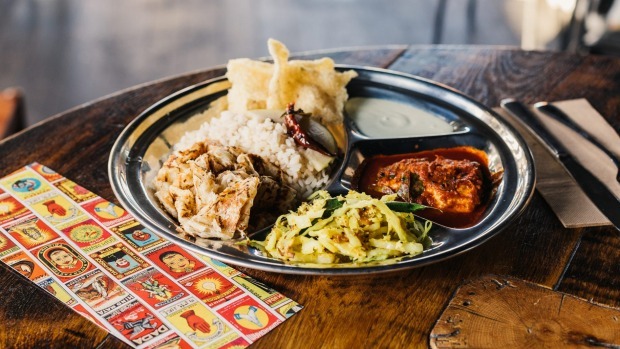 Get a thali tray starring parota, rice and a mix of the wet dishes ($22-$26). Go-to Dish: Egg bondas ($12); fish nadan ($24); chips and curry ($10).